Brandlin: Haft-Oob Stables - Now shipping early! 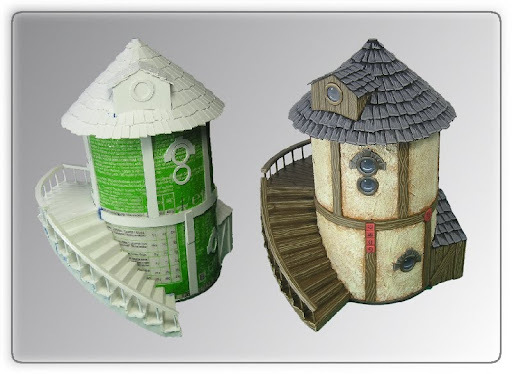 Haft-Oob Stables - Now shipping early! I'm happy to say that I have the pre-ordered Haft-Oob Stables kits in my hands, packed and ready to ship on Monday 5th July. That's a week ahead of the planned release date! If you ordered this second kit in the range, then it will be in the safe, reliable and efficient hands of the Royal Mail first thing on Monday morning. I have more of these kits available to buy from the Shop link above. I've also updated progress on the Coming Soon page. 3D modelling for the Benan Watch Tower and the Stockade Walls are both complete ad I'm well on the way to completing the 2D layout. I hope to have prototypes of these kits being cut by the end of next week. Oh, and welcome to the 86th follower of my (I can't understand why its not already been Hugo and Booker nominated) blog - ME! It turns out you CAN follow your own blog! - who knew?? ?